In a recent survey, 85% of contact lens wearers believed they followed good lens maintenance practices, but the study revealed only 2% of contact wearers follow the recommended steps for proper lens hygiene. From this 2%, only .04% are fully compliant with recommendations such as washing their hands prior to lens handling, using fresh lenses solution every time, and frequently replacing lens cases. The study shows that while most people knew what to do to avoid complications, few actually followed these recommendations. The study concluded that awareness was not the problem. The report found the most frequent complications that arise from poor lens care are discomfort (72%) and infection (47%). The study, published in the December issue of the journal of Optometry and Vision Science, calls for new strategies to improve the compliance and safe contact lens use. 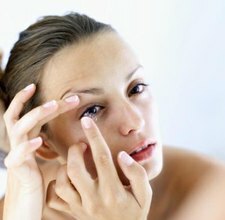 The spokesman for the American Optometric Association, Randall Furst, says the most common cause of contact lens-related complication is the failure to replace contacts during a recommended time period. Furst says, “People often use them for three weeks or even a month, which can cause problems”. When the wearer uses the lenses longer than recommended or refuses to follow the proper handling or storage practices, there is a greater likelihood of deposit build up which can lead to chronic eye redness or infection. 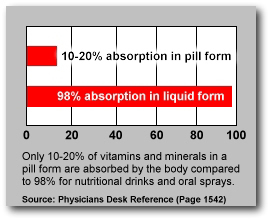 Furst also recommends that people who sleep in their lenses use wetting drops before going to bed and waking up. 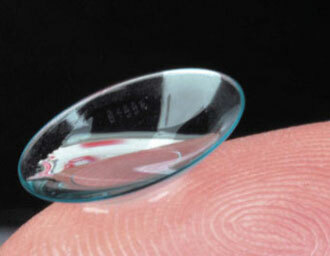 Currently, most lenses sold are approved for seven days of continuous use, but newer lenses are approved for 30 days. For these longer periods, the user must be especially aware of the signs their eyes give. If your eyes feel gritty, sandy, or irritated take out your contacts and don’t wear them to sleep for a while. · When cleaning the lenses, rub the lenses with your fingers before rinsing then soak the lenses overnight in a covered container. · Only use fresh solution to store and clean contacts. Never top off the old solution with the new one. · Replace the case every 3 month and clean the case after each use.